You know all the things that go out in your trash or recycling bins every week – papers, empty cans, old shoes and food scraps. But what about all the trash left behind in space? Any time space shuttles travel into space they leave debris behind. It might be tools, old engine parts, fuel tanks or even an astronaut’s gloves. Satellites eventually wear out and stop working. They, too, become space junk. Most of this space junk orbits around the Earth, although some of it is found deeper in space. Any time space shuttles travel into space they leave debris behind. It might be tools, old engine parts, fuel tanks or even an astronaut’s gloves. Space satellites are launched by governments, as well as individuals and companies. If you have a cell phone, for example, it operates because of satellites launched by your cell phone company. In 2012, Russia had 1446 satellites in orbit over the Earth; The US had 1111. As of 2010, there were 8,000 man-made objects orbiting the Earth. Space junk can cause problems. Working satellites can crash into the space junk, creating more space junk. 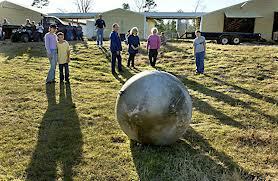 Sometimes space junk falls back to the Earth. Most of the time it burns up before it reaches the ground, but not always. Scientists are working on ways to clean up space junk. Satellites are very expensive. It costs about $100 million to build them and another $50 million to launch them. 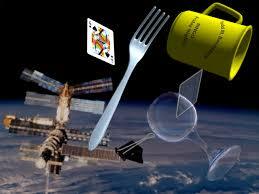 All about space junk, most of these debris that has fallen from space lands in oceans or places where few people live. But it can fall anywhere. A video documentary about space satellites and space junk. Question: Has anyone been hurt by falling space debris? Answer: Most of the debris that has fallen from space lands in oceans or places where few people live. So far, no one has been seriously injured. In 1997, a woman in Oklahoma was hit on the head by part of a booster from a space shuttle, but she wasn’t hurt. Enjoyed the Easy Science for Kids Website all about Space Junk info? Take the FREE & fun Space Junk quiz and download FREE Space Junk worksheet for kids. For lengthy info click here. Declan, Tobin. " Space Junk Facts for Kids ." Easy Science for Kids, Apr 2019. Web. 21 Apr 2019. < https://easyscienceforkids.com/all-about-space-junk/ >.